Welcome home! This charming 3 bedroom, 2 bath Cape sits quietly on a dead end street. It is conveniently located near the town library, schools, highway, shopping and more! This beautiful home features off-street parking, newer roof, fire pit, and a large deck surrounding the above ground pool – perfect for outdoor entertaining! The interior presents a large first floor bedroom, full bath, hardwood floors, an updated kitchen with stainless steel appliances, front-to-back living room and a bright and cheerful 16 x15 sunroom. Upstairs features 2 spacious bedrooms with ample storage and another full bath. 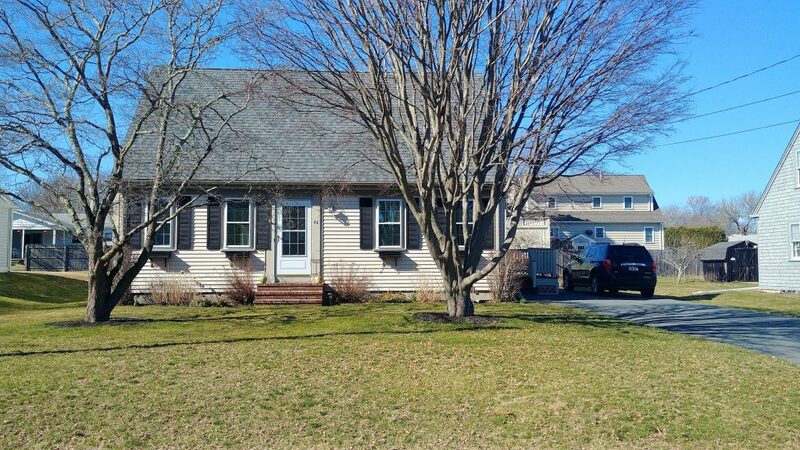 This beautiful home also includes a newer furnace, town utilities and a well- lit, partially finished basement! This lovely, move-in-ready home is a must see!